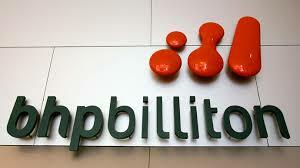 As one of the largest mining company in the world, BHP Billiton is essentially a one-stop commodity shop. However, after the demerger of South32 last year, it is now more focussed on its four most profitable areas - iron ore, coal, copper and oil. BLT has this week announced its results for the full year to 30th June 2015 (link via Investegate). Obviously the problems in China have impacted as the demand for raw materials has sent prices of key commodities much lower. Underlying profits fell by 51% to $6.4bn (last year $13.2bn) from total revenues of $44.6bn ($56.7bn 2014). "In the short term we expect ongoing economic reforms in China to contribute to periods of market volatility. And, while we remain confident in the long-term outlook for commodities demand as emerging economies continue to urbanise and industrialise, we have lowered our forecast of peak Chinese steel demand to between 935 million tonnes and 985 million tonnes in the mid 2020's. This backdrop will favour low-cost producers with economies of scale. "Importantly, we do not require the same level of investment to grow as in the past. Improved productivity can further stretch the capacity of our existing operations to increase volumes at very low cost. For example, in Western Australia Iron Ore we can increase the capacity of our system from 254 million tonnes today to 290 million tonnes over time with minimal investment, while making more than US$20 per tonne margin at today's prices. Beyond this, we continue to reduce development costs within our project portfolio. However, we remain focused on value and will only approve projects when the time is right." Because of the cyclical nature of the business, holders of BLT should always expect it to be a bit of a rollercoaster ride. 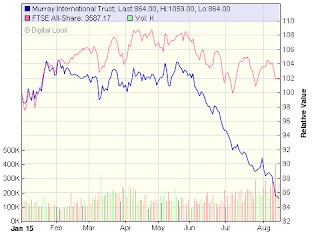 The share price has been severely impacted in recent months and at £10 is around 50% lower than this time last year. To its credit, the board have stuck to their policy of maintaining a progressive dividend. The proposed final dividend is 62c making a total for the year of 124c - an increase of 2.5% on the previous year. Earning over the past year were down to 120.7c which obviously means the current dividend is not covered fully. Despite the best of intentions, the board could not keep paying out more to shareholders than it receives in earnings so a cut in the dividend cannot be ruled out in the future. Over the past 10 years, dividends have increased from 28 cents to 124 cents - a CAGR of 16%. The annualised rate over the past 5 years has slowed to just 7.3%. At current prices, the shares are yielding ~8% which is clearly very attractive assuming the dividend can be maintained and commodity prices slowly recover over the coming few years. Capital investment, which fell by a quarter to $11bn over the past year, is set to fall to $8.5bn over the coming year and $7bn in 2017. The share price was up 6% yesterday at 1020p recovering from a 9% fall on Monday. 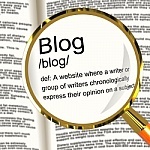 In my previous post last week, I was celebrating 2.5 yrs for my blog. During that time, the markets have mainly risen without a great deal of turbulence. They say the markets can climb a wall of worry and the crash comes out of a clear blue sky. 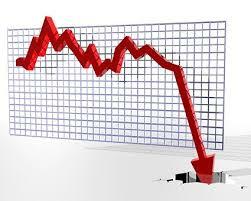 The dramatic falls over recent days have been more of a correction after a good run of market gains. Everyone who invests should be prepared for such events - indeed, everyone who decides to invest some of their hard-earned cash will no doubt be aware intellectually that markets can go down as well as up - it is part and parcel of the process of investing. The markets do not go up in steady straight lines but zig and zag in the most unpredictable ways. Earlier this year the FTSE 100 reached its all-time high of over 7,100. At the time of posting it is 5,900 - a fall of ~17% in the past 4 months. However it has fallen over 10% in less than 2 weeks. For some reason, investors get jittery when the markets fall sharply. In a recent post on the sort of combinations needed to be successful, I mentioned the possibility of making poor decisions during periods of volatility - I should know as I have made plenty in the past. Part of this process stems from paying too much attention to scary media headlines - "World Markets in Turmoil"! or "Biggest one-day Fall for 10 years - whats going on"! combined with the fact that our portfolio losses hurt much more than the pleasure experienced from stock market gains. There may well be many investors who may have started investing over the past year or two and will not have experienced such turbulence and volatility. They will possibly start with the best of intentions to buy and hold for the long term but are now stung by losses of 10% or 15% in just the past week and who may well be thinking of cutting losses and selling up. Without a sound investing plan, its easy to get blown away by volatile markets. Of course, whilst it will help to have a good plan from the beginning, no one can know how they will react emotionally to a sharp sell-off in global markets until they actually experience the raw feelings that such a climate of fear can bring about. Perhaps now is a good time to re-evaluate the plan and to see whether it is still going to keep you in the game and get you where you want to be in 10 or 20 years time. My personal plans and strategy have been revised earlier this year and I am so glad to have made the move away from individual shares. I know with my shares portfolio that even in the relatively calm waters of the past couple of years, the volatility and share price movement was becoming a little too much for my personal comfort zone. This has been one of the factors which brought about a change of strategy and a move towards the diversified LifeStrategy60 index fund. Like everyone else, I have no idea where the markets are heading next but the current sell-off does not feel anything like the turmoil of late 2008 and early 2009 - more like a sharp 10% or so correction which is likely to happen every 4 or 5 yrs. So, it almost goes without saying that the plan or investing strategy needs to be able to accommodate the sort of volatility we are seeing at present. We are all different personalities and react to events in different ways. Some people will be able to ride out the current downturn with little problem and will possibly be looking to pick up some bargains. Others will be worrying and wondering whether their decision to invest on the stock market was such a wise move as they see the value of their portfolio decline day by day. There is obviously no one plan or strategy offering the best solution in all situations for all investors. The markets offer the probability of a much better return than bonds or cash deposits over the longer periods. Therefore, the “best” strategy for you is the one that you can stick with in good times and bad. Keep calm and focus on the long term goal. Short-term volatility is the price that investors pay for long-term outperformance. I started out with this personal finance blog in Feb 2013 - it is just 30 months old. First of all a big thanks to everyone who visits on a regular basis. Page views seem to have increased quite a bit since the early days. Also, its good to see there are quite a few comments starting to appear which is a positive as other readers (and myself) can often learn from others so please keep them coming! Total page views to date - 265,450, average per month is now around 14,000 to 15,000 mark. 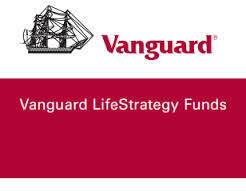 Most viewed article - Vanguard LifeStrategy with 3,500 so far. I was fortunate to be invited to write a guest post for Monevator following the publication of my latest book and a link in the article has boosted the views. Other popular articles are Vanguard UK Equity Income Tracker (2,200), Investing for Income part 2 (1,700), and Investing Notes to my 21 yr old Self (1,650). The main sources of referring sites have been Retirement Investing Today, Monevator, Simple Living in Suffolk and Money Saving Expert - many thanks! Obviously, the majority of people visiting the blog are from UK (80%), however I was a bit surprised to see how far diy investor has reached globally - USA (10%), and the remaining 10% between Germany , France, Russia, Ukraine, Spain, Netherlands, Belgium, Japan, Australia, Angola, China, Indonesia, Singapore, Serbia, Belize and New Zealand. As I say in my latest book “DIY Simple Investing”, family and friends soon change the subject when personal finance is discussed so, on a personal level, its really good to have an outlet for my ‘hobby’ of personal finance and investing and to be able to share it with what seems like an ever expanding community of like-minded people. It is, of course, always interesting to look back at earlier posts and sometimes I am surprised at just how far my thinking has changed and developed in just two and a half years. In the early days, I was firmly committed to generating a natural income from a mixture of individual shares, investment trusts and fixed interest securities. Over the past couple of years, I have read many interesting articles on various blogs and, as the time has passed, I have begun to embrace the low cost index philosophy. 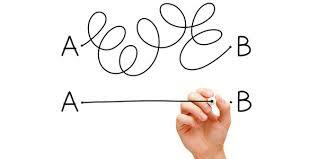 I have reviewed my former strategy and believe my process has become stronger and more balanced - as well as simpler! There appears to be no possibility of early release for good behaviour. 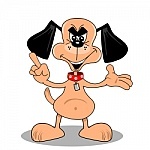 After 30 months I find I am still enjoying my blogging and so long as I remain positive and others keep visiting, I hope to keep things going for a while longer - although if my portfolio is reduced to a couple of Vanguard trackers, there may not be too much to write about! Slow & steady steps….keep it simple! I hold MYI in both my sipp drawdown and also ISA. The trust aims to provide both capital and income growth from a portfolio that is predominantly focussed on global equities. Prior to 2013, it had outperformed its benchmark in each of the previous 11 consecutive years. According to figures from the Association of Investment Companies, £1,000 invested over the past 10 years would have produced a total return of £2,500. With one or two exceptions, the dividend has grown or been held in each of the past 40 years. Dividend growth over the past 5 years is 7.8% p.a. Murray International (MYI) has today reported results for the half year to 30th June 2015 (link via Investegate). If the trend continues, it is looking like the trust will not manage to outperform its benchmark for a third consecutive year. The share price total return for the 6m was down -4.1% compared to +2.0% for the benchmark - comprising 40% of the FTSE World UK Index and 60% of the FTSE World ex-UK Index. The reasons for the underperformance are an overweight positions in Asia and Latin America. In addition there has been a reduction in the premium to NAV - which is not surprising given the underperformance, currency exchange issues and an increase in weighting to fixed income securities. Since the end of June, the share price has seen a further tumble given its exposure to the Asia economies - the chart for the year to-date looks a little in need of some tlc! Whilst NAV per share has fallen over the past half year, the management charges to Aberdeen have remained almost unchanged at £3.58m (2014 £3.61m). Total charges represent 0.66% of net assets including transaction costs. Given the outstanding track record to 2013, a year or two underperformance is to be expected. However, when it starts to become 3 years, possibly 4... who knows when the decline will be turned around. I took the opportunity to reduce my ISA holding earlier this year. I will probably hold the remainder for the time being but certainly with much less confidence then previously. I would be interested to hear what others think about the situation with MYI - leave a comment below if you have any thoughts. A few years back, I retired from full time paid work. I have managed to build a modest pension pot in my SIPP and also hold various investments in my S&S ISA (previously PEP) gradually accumulated over the past 20 yrs or so. I calculated that I could just about live off my savings, sipp pension and investment income, knowing my state pension would be available from age 65 yrs. The original strategy was to hold a mix of income generating shares, investment trusts and fixed income securities. I would draw down the natural income from these investments leaving the capital untouched. Over the past 7 years, the plan has been working out much as planned. As around 60% of the portfolio is invested in equities, the income and dividends would hopefully increase year-on-year to provide a hedge against inflation. Earlier this year, I began the process of reviewing my investment strategy and concluded that I would make a shift away from individual shares and some managed investment trusts in favour of more index funds and ETFs. I was particularly drawn to the simplicity and balance of the Vanguard LifeStrategy option. This one-stop solution formed the central theme to my latest book ‘DIY Simple Investing’. Some of my index funds such as Vanguard FTSE UK Equity Income, pay a reasonable income however I do not want too much exposure to the UK equity market, therefore an increasing proportion of my portfolio has been reinvested in the VLS funds which are globally diversified. However, whereas the yield on my UK Equity Income fund is around 4%, the natural yield on the VLS fund is currently only around 1.3%. I anticipate that I will probably need to sell some of the capital each year to make up the shortfall so I have purchased the accumulation version of the fund. I will need to take account of platform costs and fund charges which together will be ~0.30% so my actual amount withdrawn will probably be nearer to 3.7%. It would not be viable to sell units on a monthly or quarterly basis due to the dealing costs involved - currently £12.50 per transaction with my Halifax Share Deal ISA. I therefore plan to sell down capital units from VLS just once per year. The question now to be addressed is what to do about the years when there is little or no capital growth to cover the 4% sell down or even years when there is a reduction in the capital value. The LifeStrategy funds have been going for just over 4 years. The average total return for the VLS 60 fund since launch has been 8% p.a. so at first glance it would be easy to think it would be possible to sell down 4% of units each year to use as income. However, the past 4 years have been reasonably positive for both equities and bonds and I am expecting the longer term average to come down to nearer 6% p.a. I have been viewing Vanguard's simulated asset class risk tool for the 30 yr period 1984 to 2014 and using a 60/40 equity:bond allocation. Over this longer period the average return has been 10.2%. There have been just 5 years when returns were negative and 26 yrs when returns have been positive. The worst single year was unsurprisingly 2008 with a loss of 18% and 3 consecutive yrs, 2000, 2001 & 2002 when total returns were zero or negative. The plan will therefore need to be flexible enough to avoid needing to sell capital when total return for the year is flat or negative. I will therefore maintain a cash buffer - an instant access building society account - which always holds at least the equivalent of the income I would require for at least two years - so a minimum of 8% of the VLS fund value. This should provide a sufficient buffer and enable me to draw 4% income for 2 yrs without selling units in my index fund. During the positive years I will rebuild any shortfall in the buffer account to bring it back to the 8% min. and when this is restored I will simply sell 4% of the value of my VLS fund for income. Obviously, should there be a run of consecutive returns above 4% or 5%, I will have the option to build up the buffer account to a higher percentage, take more ‘income’ or leave the excess returns invested within the VLS fund. I have made a note to look at the return figures at the first anniversary of my initial purchase next June. If any readers can suggest a better way to operate this or they already use their own system, please feel free to leave a comment below. L&G is a large FTSE 100 company with a market cap of around £16bn employing over 8,000 people serving 10 million customers. It is responsible for investing over £500bn worldwide with operations in USA, France, The Netherlands, Egypt, India and the Gulf. However the UK still accounts for the majority of its business. They are the UK’s leading provider of individual life insurance as well as a market leader in group protection, annuities and workplace pensions. L&G are a top 20 global asset manager and one of Europe’s largest institutional asset managers as well as being the UK’s largest investment manager for UK pension schemes. 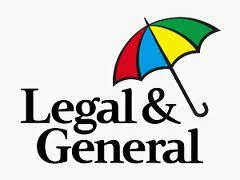 Legal & General has a diversified business model with ~33% of the firm’s operating profit came from UK insurance, 23% from retirement products, 23% from investment management, 13% from investing its own capital and 7% from the company’s American operations. The Company has today announced its half year results for 2015 (link via Investegate). 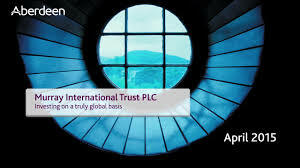 At the half way point last August, earning and profits were up 9% and the interim dividend was hiked by 21% to 2.9p. There has been a sharp 62% fall in the sale of annuities in the first half to £1.32bn (2014 £3.5bn). 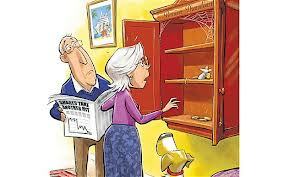 This follows radical changes to pension rules in the UK however this has failed to dent the overall group progress. Today’s results show adjusted earnings up 15% and pre-tax profits up 18% to £750m. Unfortunately, they were unable to repeat the dividend hike of last year - the interim figure is lifted by a paltry 19% to 3.45p (2014 2.9p). "Legal & General continues to deliver strong organic growth in the UK and the US from both our developing and established, market leading businesses. In addition we are disposing of, or closing non-core businesses and reducing costs in real and nominal terms. The actions that we are taking allow us to focus on our chosen markets, enable us to continue to deliver low prices and better value for our increasing customer base and deliver attractive returns for our shareholders. This financial and strategic discipline is driving our sixth year of double digit growth in net cash, operating profit and dividends…"
Last year, LGEN adopted a policy of reducing dividend cover to 1.5x earnings - this should be achieved over the coming year so I expect the current payout to be lifted in excess of 10% and have now increased my full year dividend figure to 13.5p for 2015. It looks like the results have been well received and at the close, the share price is up 2.7% at 271p. The shares are currently trading on a prospective P/E of 14 and yield of 4.3%. For more analysis, see today’s write up by Dividend Drive. I am happy with my acquisition and although some individual shares have left my portfolio this past year, I feel comfortable holding for the foreseeable . I last updated on my investment trust income portfolio at the end of 2014. Since then there have been a few changes so it’s probably time for another update. Just to recap, in June 2012, I moved my sipp into income drawdown as I felt I could generate a better income from investing over the long term than taking an annuity. Investment trusts now generate a large percentage of my drawdown income and also, combined with more recent index funds/ETFs, a larger percentage of the income in my stocks & shares ISA. The main objective is to generate a natural income which will hopefully rise each year to keep pace with inflation - a sort of index-linked annuity substitute. I will use the combined average of my 3 Vanguard index funds as a benchmark for the portfolio. As mentioned in the previous report, the portfolio income of £1,222 from 2014 was used to make a new addition of Backrock Commodities Income trust - 1,355 shares @ 89p including dealing costs. Since purchase, the share price has retreated around 20% - so not the best timing but so far, the income is much as expected! In March I replaced the Invesco Income trust with Vanguard’s Equity Income fund. In May I replaced Schroder Oriental and Henderson Far East ITs with Vanguard’s Asia Pacific ETF. I also took the opportunity to sell half of my holdings in three investment trusts - Murray Income, Murray International and Temple Bar. The net proceeds (after sale costs) of £3,321 were reinvested in the VLS60 fund. In June I decided to sell the Bankers trust which has had a really good run for the past few years as I wanted to move some of my equity gains into a little more diversified holdings - I therefore added the proceeds to the Vanguard LifeStrategy 60 fund. Although this is demonstration income portfolio, it largely mirrors my own holdings. However, whilst I withdraw most of the income from my trusts and index funds for living expenses, with this demonstration portfolio I will reinvest the income at the end of each year either into an addition investment trust - as with BRCI - or recycle the income generated into one of the existing holdings. So, how have the various investments fared over the past few months - has the income risen - how do returns compare against my Vanguard trackers? Most investment trusts have performed reasonably OK year-to-date, however the two Aberdeen stabled trusts - Murray Income and Murray International - have been disappointing. MYI has been one of the cornerstones of my income portfolio for several years but seems to have lost its way over the past 18m or so. The manager, Bruce Stout has railed consistently against the state of financial markets which he believes have been distorted by 'money printing' of central banks. He has also been frustrated by the underperformance of Asia and emerging markets, where he has half of the fund invested in shares and bonds, compared to the strong performance of the US stock market, where he has just 15% allocated. I sold down half of my holding in May so maybe now could well be good opportunity to add back to my holding - however, I would need to have faith that the manager could turn around the fortunes of the trust which I do not have at present. It is not difficult to understand why the demise of the fortunes of such investments as MYI, has been instrumental in my turning more towards index funds over the past year - they will always consistently perform in line with expectations and do exactly what it says on the tin - follow the index! Although these two have not done so well, others such as City of London, Edinburgh, Finsbury and Aberforth have performed better and have more than compensated. As I said earlier, my benchmark against which I will measure performance will be firstly the Vanguard All World High Income tracker. The performance of this global income ETF over the year-to-date has been fairly flat. The total return, including income is 0.1%. My Vanguard UK Equity Income fund has provided a total return of 3.5% including the half-yearly distribution at end June. Although only recently added to the portfolio, the year-to-date return for the VLS60 fund has been 3.0%. This now represents the largest single holding in my portfolio. The value of the portfolio at the start of 2015 was £35,106 compared to the current value of £35,338 - a rise of £232. The collectives income portfolio has therefore provided a return of 0.66% over the past 7 months. With a couple of exceptions mentioned, I am reasonably happy with the portfolio performance for the year so far, particularly the predictability of income. As I absolutely depend on the income from my investments to pay the bills and put food on the table, the objective of the income portfolio is to produce a dependable and rising income. Capital appreciation is always welcome but will largely follow the ups and downs of the general stock market. 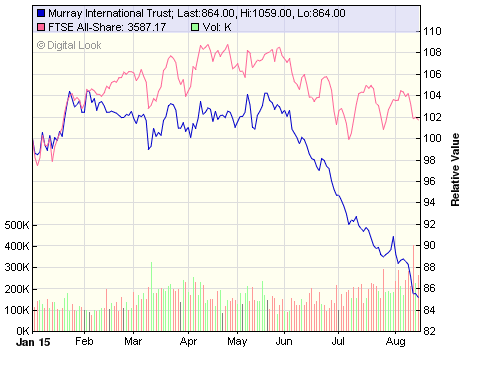 Last years dividends of £1,222 were (prematurely) reinvested in the addition of Blackrock Commodities trust. The continual reinvesting of dividends is a sure-fire way to turbo charge your investment returns over the longer term. Income so far this year is £866 - an increase of £86 compared to the dividends paid at this point last year of £780 - a rise of 11%. The main objective of the portfolio of generating a rising income to keep pace with inflation has been more than achieved with inflation currently running at below 1.0%. At the start of the year, my target income for the year was £1,365. Whilst its always very difficult if not impossible to forecast capital returns, we are more than half way through the year and I remain fairly confident the income figure will be there or thereabouts by the end of December. I will update again at the end of the year.